Our clients are unique and each one has different financial needs, so we create financial solutions for them – and can do so for you as well. We offer a free initial consultation, which is the start to your financial future. We analyse your financial background and ambitions and once we understand your unique requirements, including your tax status, and develop a true understanding of how you perceive risk, we then create a bespoke solution for you. Subject to your agreement, we then implement our recommendations and report to you on a regular basis. We build a plan for you designed around your company and individual pensions and your other personal savings e.g. Individual Savings Accounts, share portfolio etc. We also consider other aspects of your financial and personal situation, including possible inheritances and releasing equity from your property, where appropriate. We understand that financial planning is essential for you to enjoy your retirement and to leave assets to your children and other beneficiaries and we work with you to achieve the balance that best suits your circumstances. We are mindful that costs and charges can eat into pensions and, therefore, we offer a competitively priced range of investments to make the absolute most of your pension. Over the years, we have advised and guided many clients throughout their working lives through to retirement. We are truly independent financial advisers offering a personalised approach to investments by using the full armoury available to the independent financial adviser. We use model portfolios, structured products, National Savings, AIM listed companies, venture capital investments and peer to peer to develop a portfolio that offers a spread of UK and worldwide investments to give the portfolio the smoothest returns for your level of risk. We are not tied to a single investment approach, which means we create financial solutions that work together. We provide a premier service to those clients who require an ongoing service throughout the year by arranging regular face to face meetings, close monitoring of their investments and additional advice when ad hoc financial planning matters arise. We have considerable experience at providing advice on pension sharing requirements, in conjunction with the client’s solicitor. This includes advising on the types of pensions available to be shared and then investing the proceeds for retirement. The final pension share is a matter for you and your solicitor, but our guidance assists with the final recommendations. By arrangement, we can assist clients in finding care home accommodation, in conjunction with their families and, where necessary, assist with attendance at minor medical appointments. This solution is particularly suited to those families in which a parent is based in the UK and other family members are abroad or live a distance away in the UK. For those clients who are unable to look after their financial affairs, we report regularly to the client and their designated contact, or power of attorney, on progress of their investments . 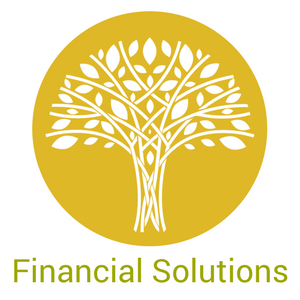 To find out more about how we can help create financial solutions for you, please get in touch.